Crab can be found all over the world residing in oceans across the globe with many living in fresh water and on land, especially in more tropical areas. The crab is a decapod crustacean covered in a think exoskeleton along with a set of chelae or ‘pincers’. Crabs come in various sizes ranging from a few millimetres wide to up to four meters. 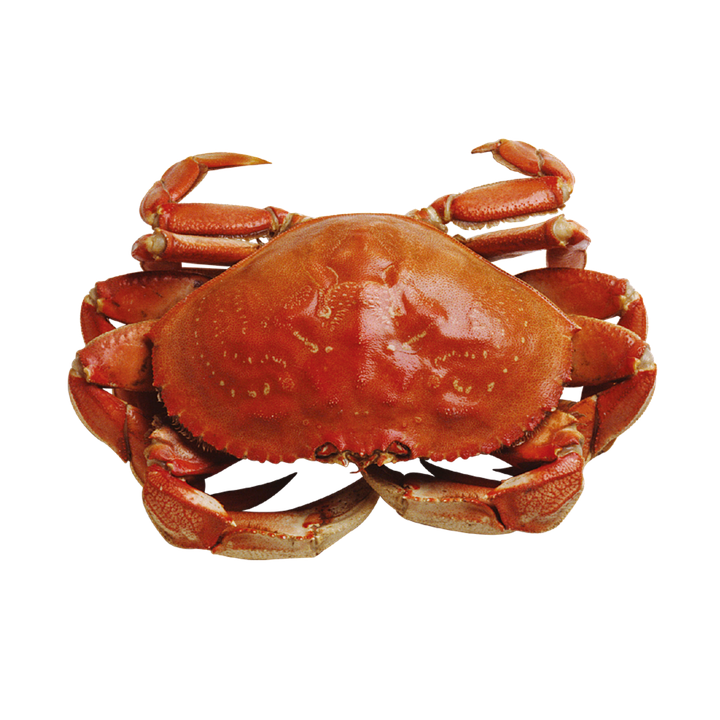 The crab makes up 20% of all marine crustaceans that are caught, farmed and consumed worldwide. Crab meat in some species is harvested by tearing off the claws and returning them to the sea as it is believed the crab can survive and will regenerate its pincers making them a sustainable source of meat. How is crab prepared and eaten? Crab is prepared and eaten in different ways across the world, the more popular method is to boil them alive. While some species can be eaten whole, including the shell, others such as the soft shell variety have the meat extracted from the claws and legs. In some Asian cultures the female crab is also consumed while Southeast Asia use it to make spicy dishes including chilli and crab masala. How is dressed crab prepared? In Britain, the dressed crab dish is prepared by extracting the meat and placing it inside the hard shell. In America flour is added to the crab meat to create a crab cake. The popular French bisque dish also uses crab meat. Minced fish products can sometimes be used to imitate crab to produce a lower quality substitute which has come under fire from professionals across the industry. However, the imitation crab meat has remained popular in home cooking throughout areas of Japan due to the lower price tag. Chefs often regard crab meat as a two-in-one ingredient. While white meat contains a light and sweet flavour the brown meat is often richer in taste meaning it can be used as a mix and on its own due to its unique flavour. What is the most common variety in Britain? The brown crab is the most common species consumed in the UK. This particular variety tends to be in season between April until November. Most people also retain the crab’s shell as this can used as a seafood.